Seriously, though. 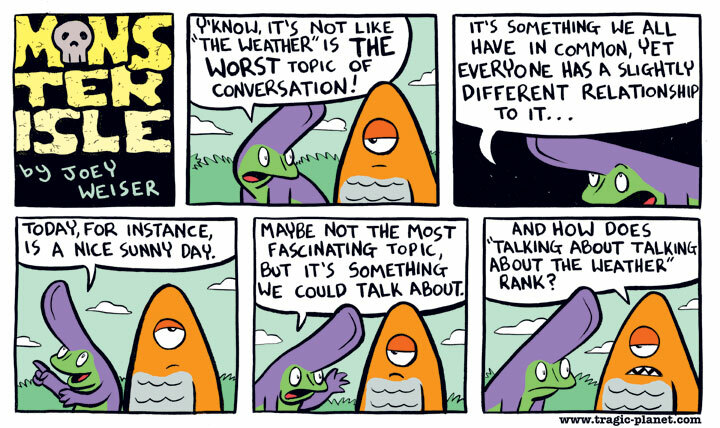 It’s not so bad to talk about the weather! Yeah, it’s got to be a drag to hang out with that guy.